Nowadays, different varieties of graphical user interface (GUI) components are seen in web designs. These are created to give a special touch to the overall look and feel of a website layout. 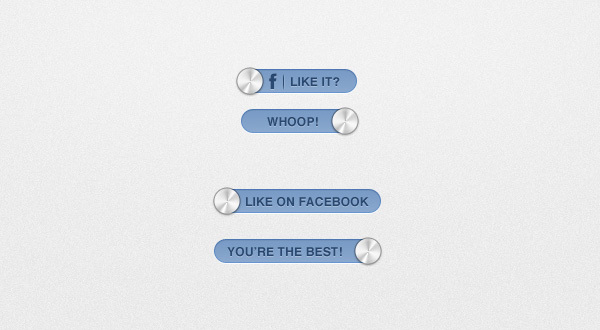 If you want these for some urgent use, check out Switch (PSD). 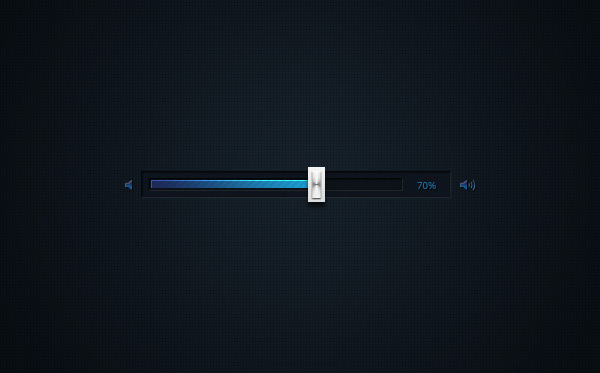 Some of these components which are mostly used with interesting variations in their styles are buttons, menus, tags, ribbons, tabs, etc. 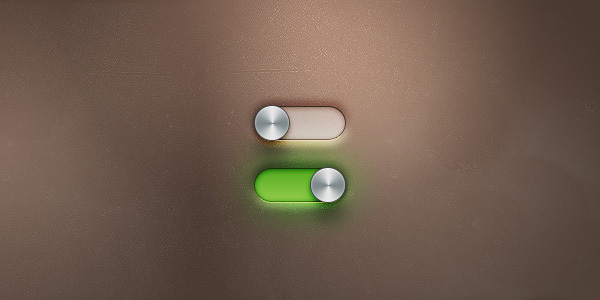 In addition to these, switches are also used with great enthusiasm and have become an integral part of a large number of website designs. 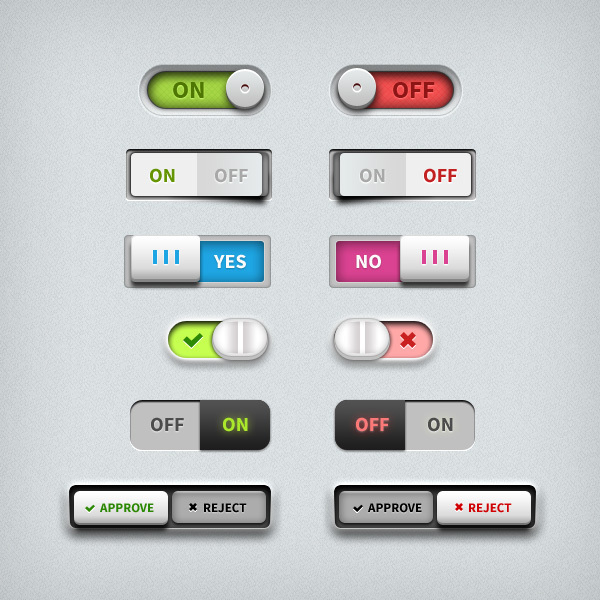 You can build switches yourself to integrate these into your website. However, if there is time constraint, consider exploring online repository for these. You will get plenty of choices to apply to your design. 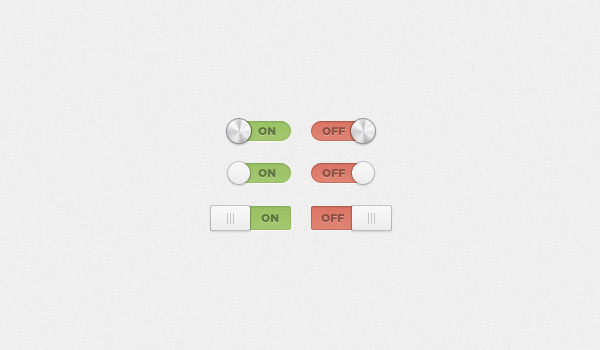 This template contains On and Off switch designs. 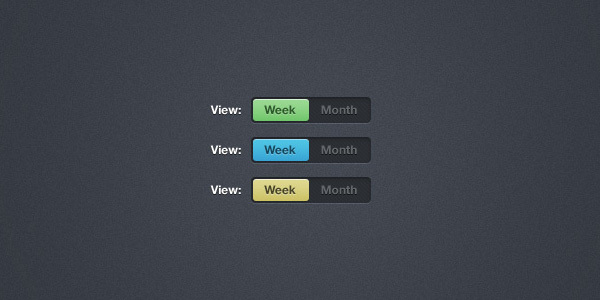 The color scheme that is chosen in this template is white. The component is created in PSD format. You can edit it to suit your needs and requirements. The file can be downloaded for free from the internet for personal as well as commercial use.